Developed with plastic surgeons, IT Cosmetics™ creates products that are game-changing and, when in the hands of real women everywhere, become life-changing. We believe you’re an IT Girl™ the moment you try IT. 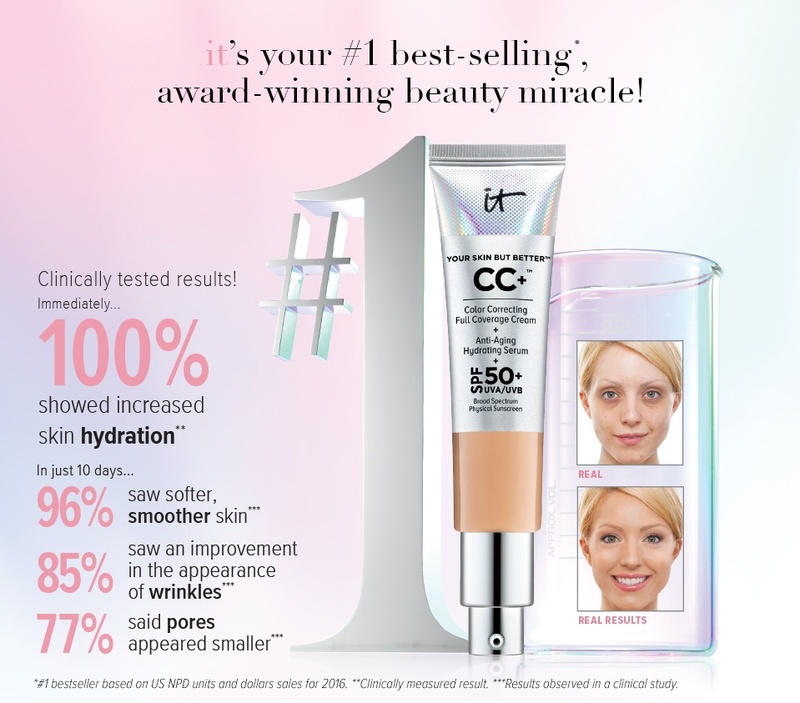 IT Cosmetics™ works with plastic surgeons to develop clinically proven, innovative, problem-solving products that harness cutting-edge, anti-aging technologies and skin-loving ingredients to truly give you the power to be Your Most Beautiful You™.